LONDON – Due to the present economic conditions and potential political ramifications, the UK’s 50 percent income tax rate will not be scrapped in the near future, and is likely to be maintained until at least 2015, unless evidence is found that it is causing harm to the economy. 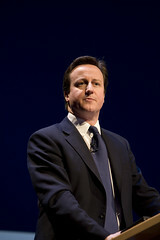 In a television interview with the BBC held on January 9th the Prime Minister of the UK David Cameron said that the country’s top marginal tax rate, which is currently set at 50 percent, is still regarded as a “temporary measure”, but indicated that it would not be removed in the next few years. David Cameron said that he does not want to see the UK maintain such a high marginal tax rate, but the measure were necessary at the present economic situation. Before the government could scrap the tax, evidence will need to show that the tax is damaging the economy. The HM Revenue and Customs is currently preparing a report on the effectiveness of the 50 percent top marginal tax rate since its implementation in 2010. Some experts have indicated that the report is likely to show that the tax has proven to be a powerful revenue raising tool, and should not be removed any time soon. The Prime Minister’s words come in response to an article published by The Daily Telegraph, which claimed that the government would not be removing the top marginal tax rate before 2015. The article also suggested that cutting the tax would be a politically difficult move for the Prime Minister, as it will lead to allegations that the government is catering to the richest people in society.